For the past two weeks, I’ve limited trips to the grocery store and tried to subsist solely off of food in my home. Putting the idea of a well-stocked pantry to the test, I’ve done my best to make creative and delicious meals from what’s on hand. I prepared my last snapper fillet (from a Florida fishing trip this past June) using a bit of rosemary, a couple of garlic cloves, and a little red wine vinegar. An impulse purchase of red lentils from several months ago was put to use in a spicy Indian dal. I even made hamburger buns to go with a pint of Carolina BBQ that I found in the recesses of the freezer. While I can’t tell you how excited I am to hit up the grocery again (grocery shopping is one of my favorite things to do), I’ve been impressed that the “what’s for dinner” question is easily answered just by looking in your pantry. 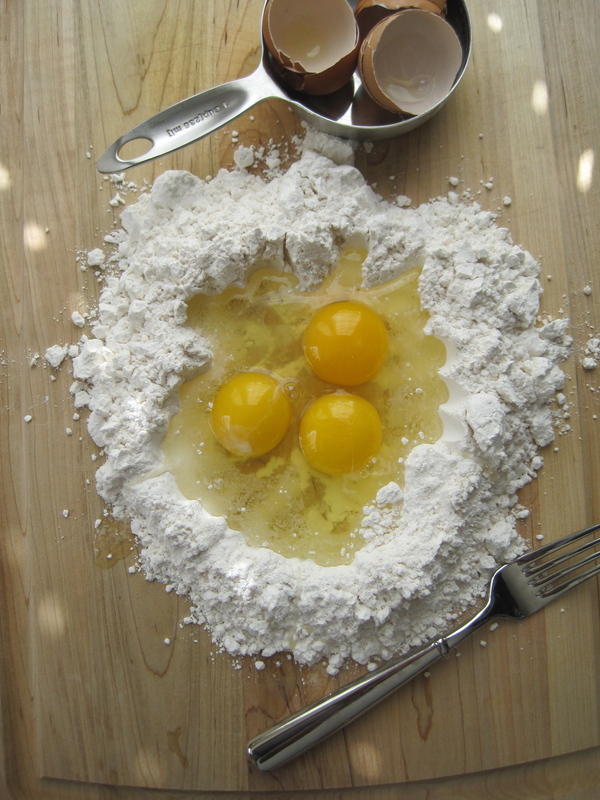 Take this simple, yet delicious pasta recipe made from eggs, flour, butter, parmesan, salt and pepper. Yep, that’s it. Six basic ingredients come together to make a satisfying and casually elegant supper called Cacio e Pepe (cheese and pepper) in Italy. 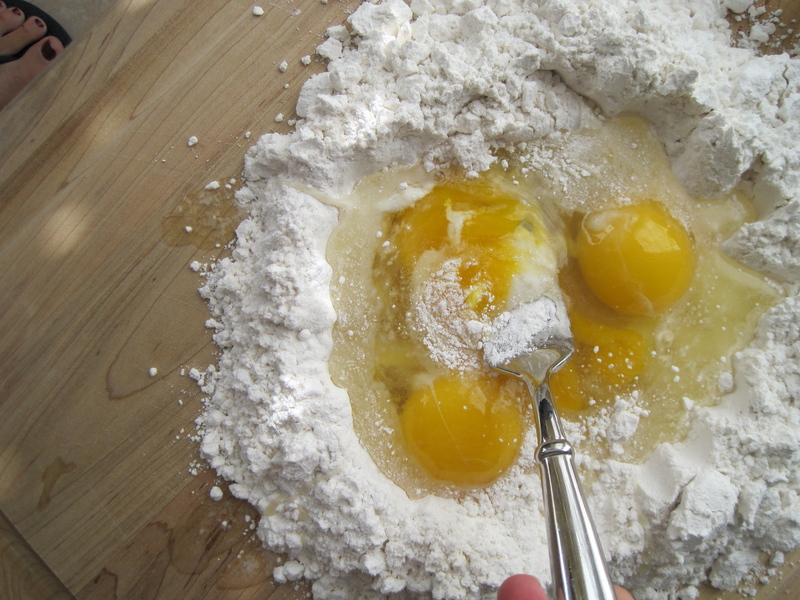 While making your own pasta may seem a tall order, I recommend you try your hand at it just once. 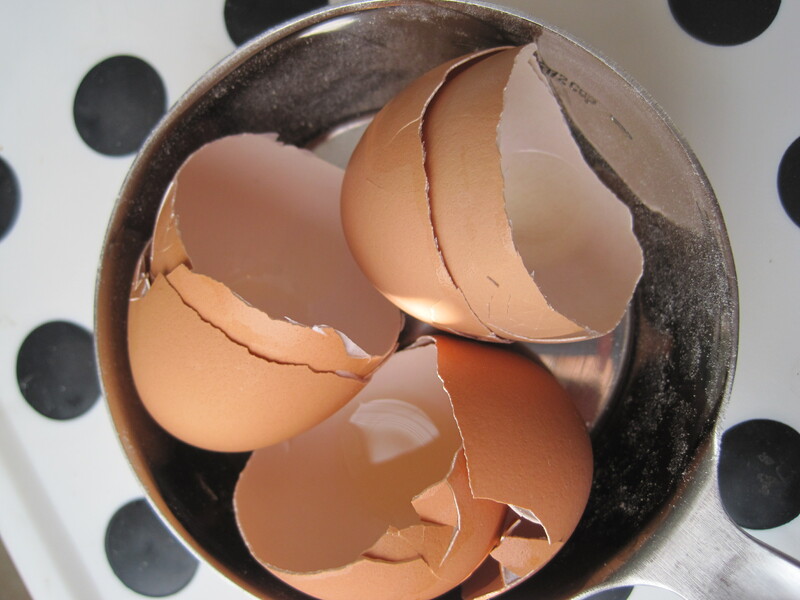 I think you’ll be surprised to find how easy it is and it certainly takes this dish up a notch. 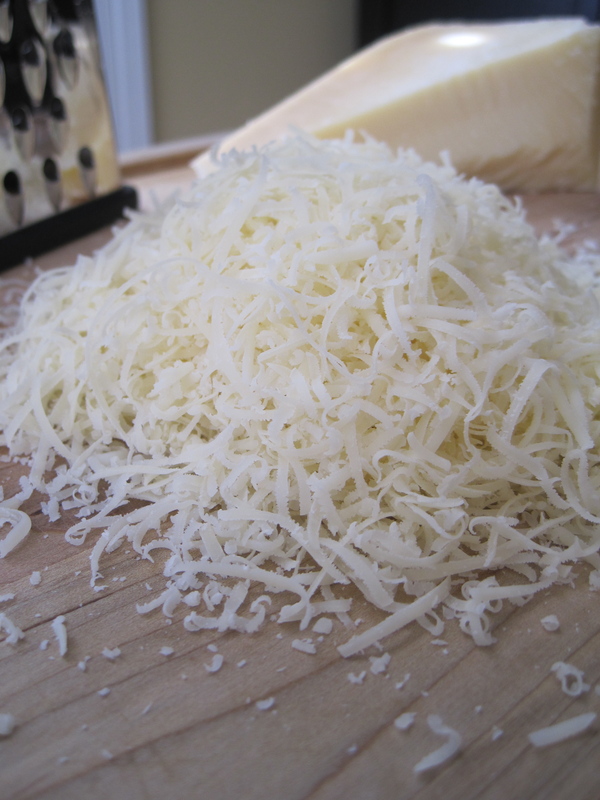 An earlier post on homemade tagliatelle, features instructions for your making your own pasta. 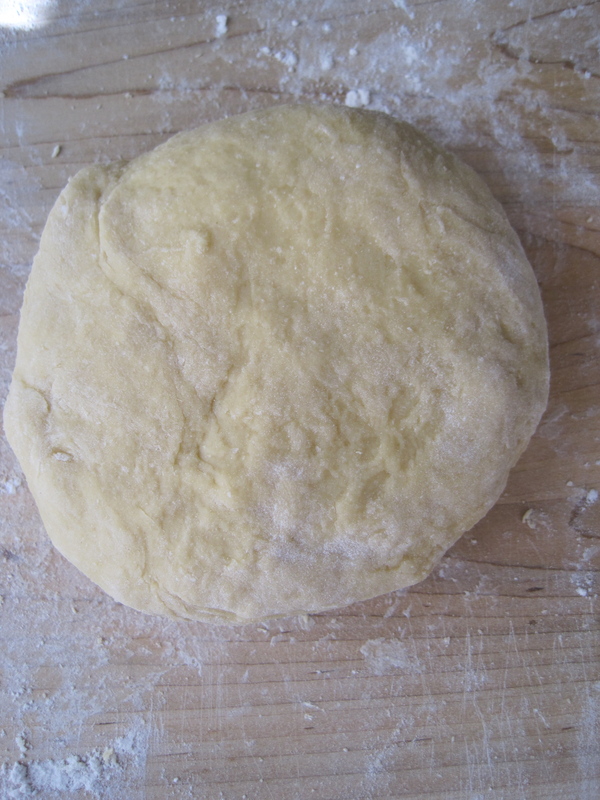 However, a store-bought fresh pasta could be substituted for an even quicker meal. 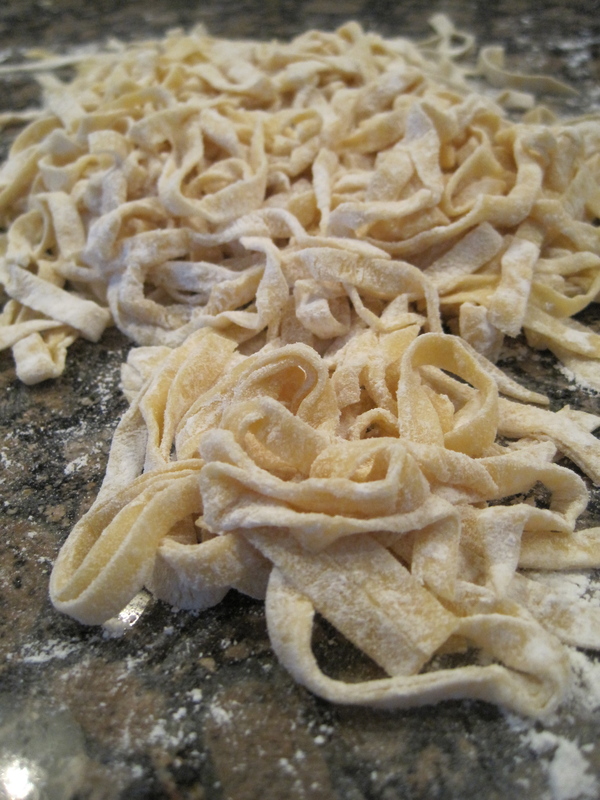 Get detailed instructions for making fresh pasta from my earlier post on homemade tagliatelle. The noodles for this recipe were made in the exact same way, except instead of cutting them by hand I cut them using the fettuccini cutter attachment on my pasta machine. Add a small handful of salt to a large pot of water and bring to a boil. When the water is boiling, add the noodles and cook for 3 minutes until al dente. Drain the pasta and reserve a 1/4-cup of the pasta water. Return the pasta to the pot and add the butter, Parmesan, and cracked pepper. 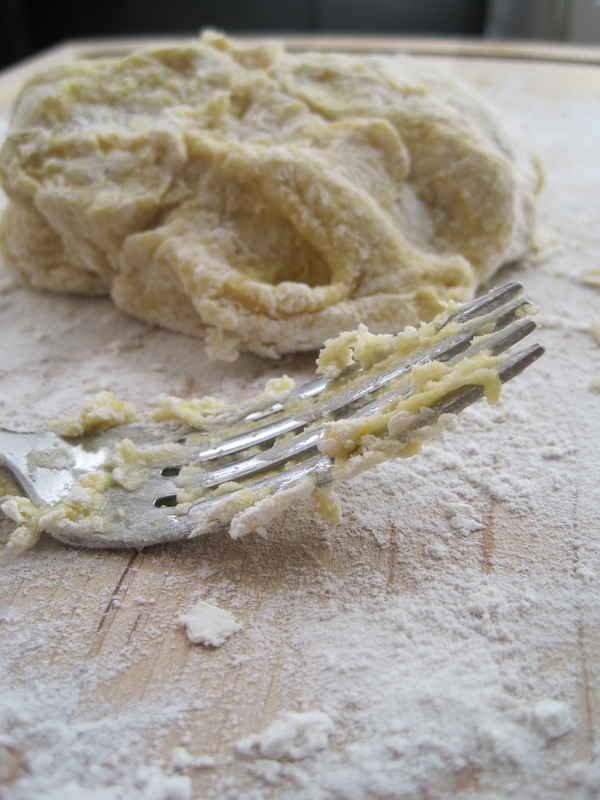 Use tongs to toss the pasta until the butter and Parmesan have melted and formed a light sauce. Add the reserved pasta water if the pasta seems too dry. If needed, add more salt and pepper to taste.